Facebook Live is great for small businesses, as you don’t need a lot of expensive equipment to set it up. You can stream on Facebook Live using the camera in a smartphone. The other benefit is that because Facebook is pushing the service, it pushes the streaming videos to the top of your audience’s Newsfeed while they are still live. That’s something you usually need to pay for in terms of an ad or a boosted post. 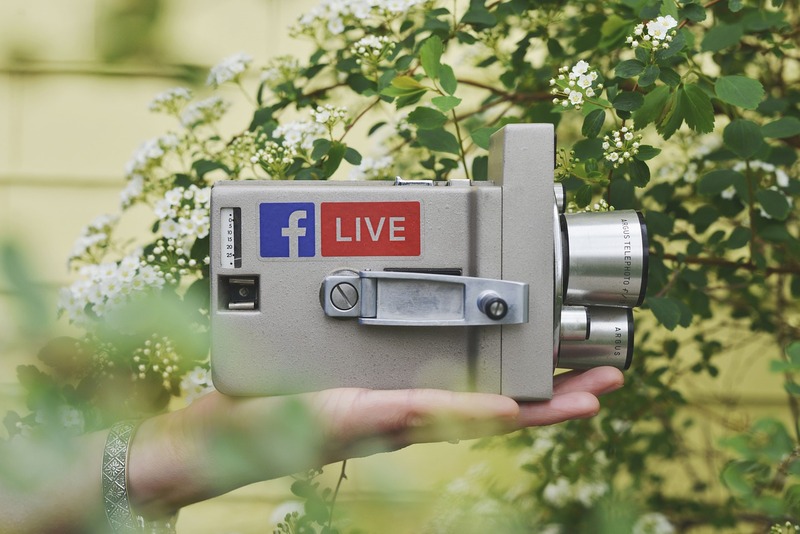 One of the things that are most difficult to produce as a small business is content for social media, but Facebook Live gives you an easy way to create content, especially as the medium is set up for unscripted, informal and unpolished videos. When you’ve finished making the stream, it appears as a video on your timeline – with all the interactions you had when it was going on already there as social proof. You also don’t have to have a video setup to broadcast things live. There is now a screen share button within Facebook Live that allows you to share what’s on your screen, or within a particular application or even a web page (with an extension within the Chrome browser). That gives you a lot of options. If you are a graphic design firm, for example – you can show off your skills when you are creating a project, or even create a live tutorial to be shared on other devices later. A great way to use Facebook Live is to get video testimonials from customers. If someone is happy with the job you have just done for them, you can ask them if they would like to share that experience on Facebook Live. Due to its live nature, you double down on the authenticity of your testimonial, and add social proof to your feed. If people make mistakes live, than that’s fine. In fact, it can make it seem more real. Nobody is perfect all the time. As long as you make it clear what you were trying to say, you’ll be fine. Although you don’t want to be over rehearsed, you need to run through what you’re doing and let your colleagues know what will be happening. You don’t want people to be surprised or uncomfortable. You also don’t want to let sensitive information to be streamed live. Check what’s on people’s screens and whiteboards before streaming in an office, for example. You want to be spontaneous, but you also want to have a clear purpose to what you’re doing. Know what the key points you want to cover in a Facebook Live stream are, and don’t worry about hitting them all. Even if you only get one key piece of information across, that’s fine. You probably don’t want to put too much information in any given stream, because there’s only so much information your audience will retain. Two or three key points is great. There are lots of ways you can use Facebook Live. You can answer questions, show off your business, deliver webinars – even livestream what’s happening at your work. Whatever you’re doing, it’s good to have a strong exit planned. If you are talking to camera, work out how you are finishing off what you are saying. If it’s a Q&A, set a time limit and then take one last question. If it’s a tour of the office, work out what to say when you’ve finished the tour. It may seem silly, but knowing you have a strong end in place can make creating a Facebook Live video a lot less stressful. Sometimes you want a livestream to be spontaneous, especially if you are capturing something happening that’s amazing. If you do want people to interact with you (and they’re up to 10 times more likely to comment on Facebook Live) then it’s best to promote it ahead of time to make sure people will be there. That’s especially important if you’re doing a Q&A or webinar. If you are doing a Q&A, webinar or interview – if possible get someone else to deal with comments and choose the best ones to respond to. This allows you to focus on the job at hand, and means there aren’t awkward pauses when you take time out of the live stream to comment on what people are saying during it. It also means you’re not ignoring people when they engage. If you want to capture something when it’s happening, then post on Facebook Live at any time. If you are planning and promoting a stream, then you need to think about when your audience may want to interact. If you put out your livestream in office hours, then your audience will be at work too. Putting your stream out in the evening may get a better response, because your audience will be able to interact with their social media more. Try and have fun with Facebook Live, and try to do different things with it. See what works best with your audience. Some audiences will respond well to an informal ‘thought of the day’ style stream – others will respond better to long form content like a webinar. Feel free to try out different approaches to find the one that works with you and your audience. When you have done the stream, have a look to see what the interaction has been. See if it changes due to the nature of the videos and the time at which they are streaming. Look at the level of interaction, and see what videos have generated the best response. Analysing the response will help you work out what type of Facebook Live videos works. Although your primary purpose may be to build your brand and business by using Facebook Live, that isn’t the main reason people will watch or comment on your stream. They want to be entertained. If you are a charismatic speaker that’s great. If not, there’s other things you can do. People are curious – so seeing how your business works ‘behind the scenes’ will be interesting to them. They are also on social media to make connections – so meeting your team and learning about them will be good too. The also want to engage, so talking about things you are genuinely passionate about will engage them. Guest Author: Zachary Jarvis is a Digital Marketer with one thing on his mind: Results. Uninspired by the never ending talk of ‘vanity metrics’ in the world of digital marketing, Magnate was founded – the ‘Social-First’ marketing agency. On the very rare occasion, he isn’t watching Step Brothers in his spare time – you’ll find Zachary in the thick of social platforms, learning what makes us tick. This is driven by a fascination (perhaps a slight obsession…) with market trends and consumer behaviours.